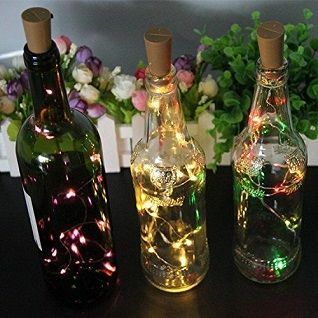 3 Pack | 3 Ft 10 Super Bright Warm White LED Solar Operated Wine Bottle lights With Cork DIY Fairy String Light For Home Wedding Party Decoration on Sale Now at best wholesales prices! 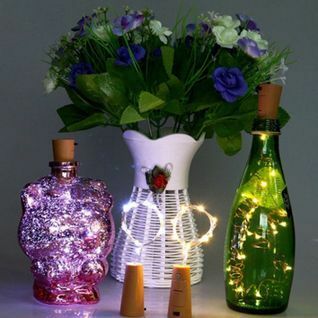 PaperLanternStore's new Wine Bottle Cork Stopper LED Fairy Light is small, versatile and Solar Operated! 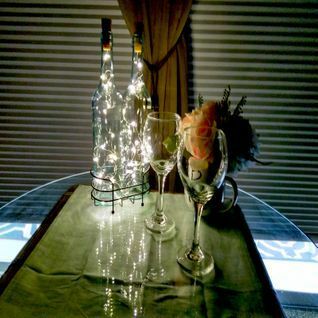 Your guests will love your DIY table top illuminations and the romantic and whimsy atmosphere your lighted bottles create. 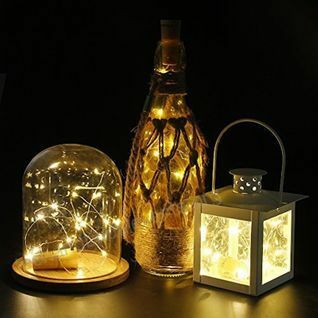 Perfect for all events like Wedding receptions and holiday dinner parties, these string lights are made of thin micro strand light wire and can be bent into desired shapes like coils or balls, or they can simply take the shape of a vase or bottle. 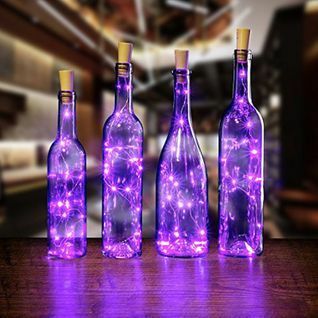 The led cork light is great to add a simple yet effective lighting style to your lounge party venue or restaurant and bar. 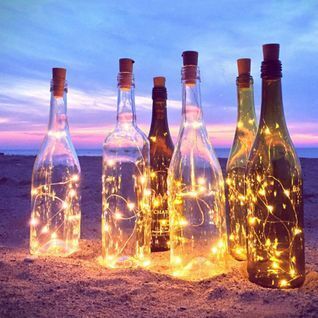 These lights are ideal for a relaxing environment. 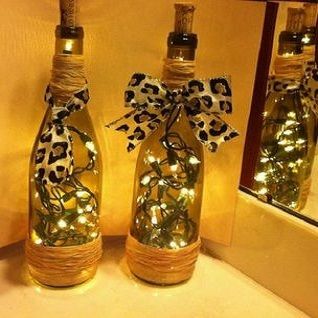 Simply add the cork into the top of an empty glass bottle and the 10 Leds attached to the string wire will fill the bottle with pretty lights. 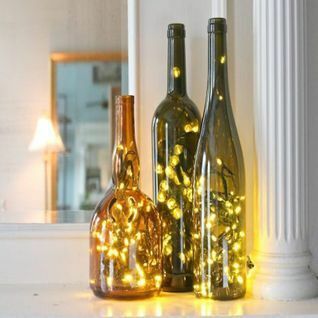 Why not lay the string lights across tables window sills or insert into other glass ornaments and jars! 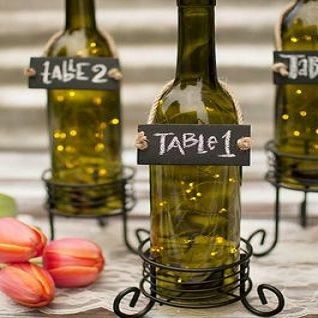 I put these in an empty wine bottle that I cleaned the labels off and it makes a cute light centerpiece for outside. I gave as gifts and everyone loves them!